This Association shall be known as the Wianno Senior Class Association. (a) The objectives of the Association shall be to promote racing of Wianno Senior One Design Knockabout (“Wianno Senior”) yachts; to maintain “one design” principles in hull construction and sail plan; to adopt and enforce rules to insure equality in racing competition; to encourage participation in the Class championship series (the “Scudder Cup Series”); and to assist each other in the proper sailing and maintaining of all Wianno Seniors. (b) The Association is not organized for and shall not be conducted for profit. (a) Regular Members, who shall be any owner or bona fide charterer of a Wianno Senior, or any family member of such owner or charterer or any skipper or crew member of such Wianno Senior designated by such owner or charterer, shall be entitled to vote at any meeting of the members of the Association, provided that there shall only be one Regular Member per Wianno Senior yacht at any given time. (b) Any crew member, former Wianno Senior owner or charterer, or other person interested in the Class who is not a Regular Member shall be eligible for Associate Membership. Associate Membership entitles an individual to all of the privileges of membership except that no Associate Member shall be entitled to vote at any meeting of members of the Association. (c) Application for Regular or Association Membership, accompanied by annual dues, should be made to the Secretary of the Association. (a) An annual meeting of the members shall be held each year on Cape Cod on the first Friday following the end of the Scudder Cup Series or at such other place or on such other date as the Governors may provide for the purpose of electing a Board of Governors and transacting such other business as may properly be brought before the meeting. A notice of such meeting, stating the date, time, and place, shall be mailed to all members by the Secretary at least seven days prior to such meeting. (b) Special meetings of the members may be held on call of the Board of Governors or the Chairman or Vice Chairman or upon the written request of six Regular Members. A notice of each such special meeting of the members shall be mailed to every member at least seven days prior to such meeting. Such notice shall state the purpose for which the special meeting is called as well as the date, time and place of such special meeting. (c) The lesser of ten Regular Members or fifty percent of the Regular Members in good standing shall constitute a quorum for the transaction of business and all decisions at meetings of the members shall be by majority vote of those Regular Members present. rnors shall consist of not less than four (4) nor more than eleven (11) individuals and shall be divided into three classes as nearly equal in number as possible. Following the initial election of the Board of Governors, one class of Governors shall be elected annually. The members of each class of Governors shall be elected for a term of three years and until their successors are elected. (c) In case of any vacancy in the Board of Governors, such vacancy may be filled by vote of the remaining Governors. (d) The Governors may in their discretion appoint one or more Advisory Members to the Board at such times, and for such terms as the Governors may deem appropriate. Advisory members shall not be entitled to vote at any meeting of the Board of Governors. (a) The Governors shall be responsible for the policies, administration and finances of the Association. (b) They shall have general authority over all committees and shall approve the members and the chairmen thereof. (c) They shall have the authority to appoint such special committees not provided for herein as they may from time to time deem appropriate, and they shall prescribe the duties and approve the chairmen of all such committees. (d) They shall determine the annual dues for each class of membership. (e) They shall be responsible for all appropriations of the funds of the Association and shall determine the depository for the funds of the Association and authorize signatures thereon. (a) Meetings of the Board of Governors may be called by the Chairman, and shall be called by him on the request of any two members of the Board. Any special meeting shall be held at such time and place as the Chairman may direct. (b) A majority of the elected Governors shall constitute a quorum at any meeting of the Board. If a quorum fails to attend any regular meeting, an adjourned meeting thereof may be held at a subsequent time and place designated by the Chairman. (a) It shall be the duty of the Chairman to preside at meetings of the Association, and to appoint committee chairmen subject to the approval of the Governors. (b) It shall be the duty of the Vice Chairman to assist the Chairman in the discharge of his duties and to officiate in his absence. (c) It shall be the duty of the Secretary to keep minutes of the meetings of the Association members and of the Board of Governors and to have custody of all reports and documents connected with the proceedings of the Association, to keep a correct roll of members together with the dates of their election, to give notices of all meetings, and in case of special meetings to state the business intended, notify members of their election to office and of their appointment to serve on committees, and to perform such other services as may be required by the Board of Governors. The Secretary shall provide any Regular Member with a list of all members in good standing upon seven days’ written request. (d) It shall be the duty of the Treasurer to collect all monies due the Association, to render a statement of the financial position of the Association at each meeting of the Board of the Governors and the members, to deposit the funds in the name of the Association in a depository or depositories approved by the Board of Governors, to keep a correct account of all monies received and paid out, and in accordance with the direction of the Board of Governors, to disburse the funds of the Association. 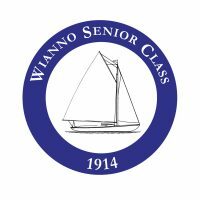 (a) The individuals elected to the Board of Governors shall constitute the membership of the Wianno Senior Class Committee (the “Class Committee”) for the Southern Massachusetts Sailing Association. (b) Any notice of a meeting of the Board of Governors of the Association shall be deemed to be due and proper notice of a meeting of the members of the Class Committee, and the members of the Class Committee may transact such business as may properly be brought before such meeting. (a) The Nominating Committee shall consist of such members as may from time to time be appointed by the Governors. (b) The Nominating Committee shall nominate candidates for the Board of Governors and officers to be elected at the annual meetings of the members. They shall present, or cause the Secretary to present, their nominations to the annual meeting of the members. (c) Any six Regular Members in good standing may nominate candidates for the Board of Governors by mailing their nominations to all members at least seven days prior to the date of the annual meeting. Such nominations shall be subscribed to by the members nominating. The Association shall to the extent legally permissible indemnify each of its present and former Governors, officers, employees and agents (and any of the heirs, executors and administrators of the foregoing (the “Agent”) against all expenses and liabilities which he has reasonably incurred in connection with or arising out of any action or threatened action, suit or proceeding in which he may be involved by reason of his being or having been an Agent, such expenses and liabilities to include but not be limited to, judgments, court costs and attorney’s fees and the cost of reasonable settlements, provided no such indemnification shall be made in relation to matters as to which such Agent shall be finally adjudged in any such action, suit or proceeding not to have acted in good faith in the reasonable belief that his action was in the best interests of the Association. The Association may reimburse an Agent for expenses incurred in defending a civil or criminal action or proceeding upon receipt of an undertaking by him to repay such reimbursement if he shall be adjudicated to be not entitled to indemnification hereunder, which undertaking may be accepted regardless of the financial ability of the Agent to make repayment. In the event that a settlement or compromise of such action, suit or proceeding is effected, indemnification may be had but only if the Board of Governors shall have determined that such settlement or compromise is in the best interests of the Association and that such Agent appears to have acted in good faith in the reasonable belief that his action was in the best interests of the Association. (a) Every member shall furnish the Secretary with an address to which all notices, bills and other documents shall be sent, and each member shall promptly notify the Secretary or the Treasurer of any change in such address. (b) All notices or other documents required by the By-Laws to be sent to any member shall be mailed prepaid to the address provided by him under the provisions of this Article and shall be deemed to have been duly delivered when so mailed. The Constitution and By-Laws may be amended at any regular or special meeting by the favorable vote of two-thirds of the Regular Members present in person or by proxy and voting thereon, provided notice of such amendment shall have been included in the notice of the meeting.